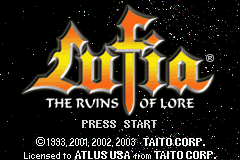 Lufia: The Ruins of Lore is a role playing game for the Game Boy Advance. 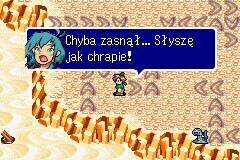 The patch translates 100% of the text, but no compressed graphics (the intro, map screen, battle icons). 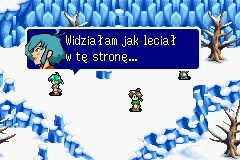 These are left in English. Some more details are in the Readme. The author has stated that he will not finish the graphics hacking.